Carol Light’s Heaven from Steam, a finalist for the 2012 Able Muse Book Award, moves effortlessly from the humorous to the serious, from mundane concerns to sublime. She writes as convincingly of carnal pleasures as of spiritual mysteries. Light’s playful energy is imbued with pleasing rhythms and sonic patterns. With surprising wordplay and associations, she renders complex vistas as understandable simplicities, finds fresh, inventive turns of phrase that will remain with the reader. Her multifarious themes include questions of faith, divorce, childbearing, cathedrals, the Pacific Northwest, the Prairies, Italy—especially Rome—and beyond. This visionary debut collection will delight the discerning lover of poetry. Carol Light’s Heaven from Steam is an extraordinary book, formally adept and wonderfully inventive. Light is a poet of arresting images and stunning sound effects; she needs just a few short lines to make even the old symbol of a sunrise worth our attention (“Pink lamé sundogs/ bodyguard/ the bigwig’s dazzled rise”). However perfect her details, though, and however sublime her phrases, it’s Light’s restless intelligence that keeps me returning to her work. Here’s a poet who inhabits, rather than frames the world; a poet of gestures, whose mind and heart are in motion, whether it’s a shrugged shoulder, or rolled eyes, or an open-armed embrace. Heaven from Steam is a thrilling debut. The book is marked by a lightness of touch. The overall effect is playful. . . . But she strikes another tone entirely in the crowning sonnet sequence, “Vicolo del Divino Amore” . . . the nimbleness with which she weaves and unweaves her lines and imagery around the birth of a yearned-for child. 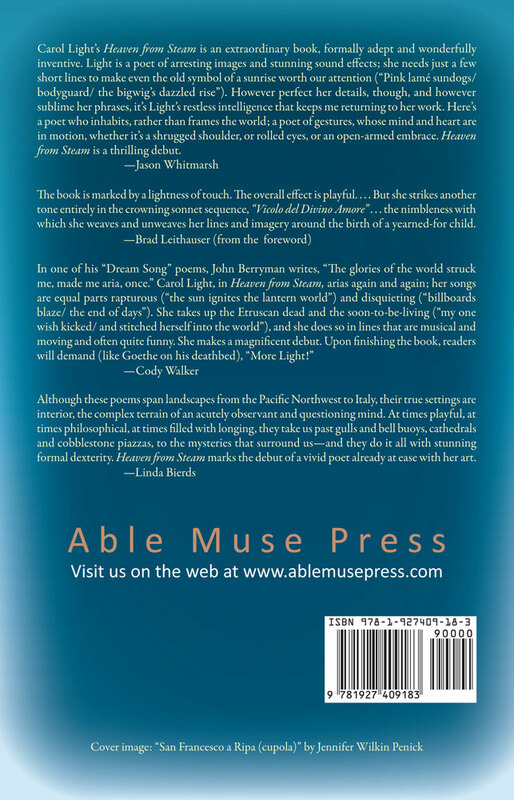 Although these poems span landscapes from the Pacific Northwest to Italy, their true settings are interior, the complex terrain of an acutely observant and questioning mind. At times playful, at times philosophical, at times filled with longing, they take us past gulls and bell buoys, cathedrals and cobblestone piazzas, to the mysteries that surround us—and they do it all with stunning formal dexterity. 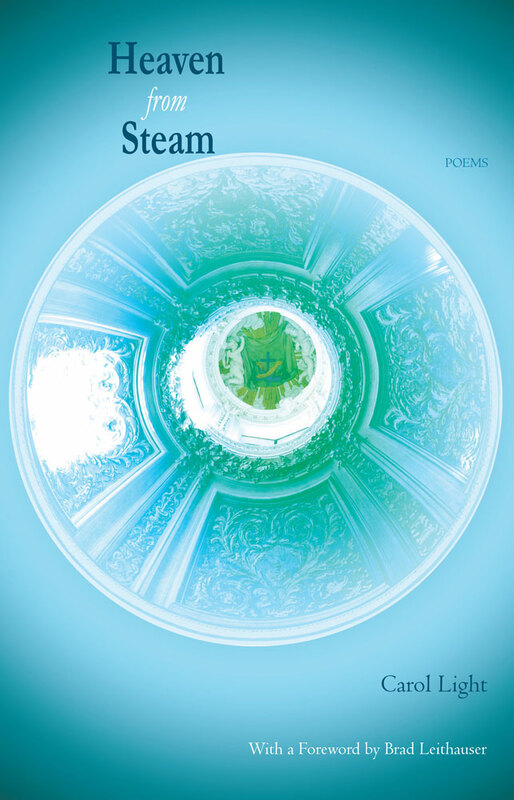 Heaven from Steam marks the debut of a vivid poet already at ease with her art.